Griffin Technology and Crayola have released their latest creative tool: Crayola DigiTools Deluxe Pack for iPad. If you want to give a surprise to your kids, let’s go on checking. 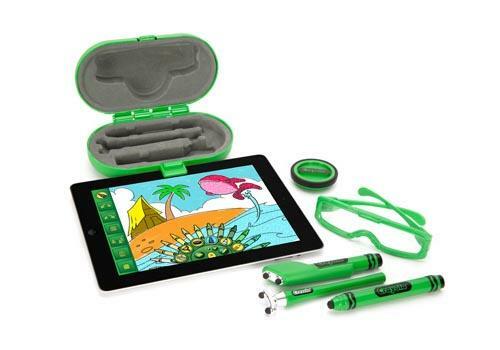 Griffin and Crayola collaborated to design this set of creative tools for iPad. The creative tool pack contains four kid-friendly drawing tools including digital crayon, digital airbrush, digital 3D tool, and digital stamper, with the help of three free drawing apps, your kid can create various awesome masterpiece via iPad. Moreover, the accompanying 3D glasses allow you to watch those 3D works created using the 3D tool, while the stamper lets your kids create instant, animated images. Apart from that, the clip-on carrying case keeps all the drawing tools together for convenient storage. 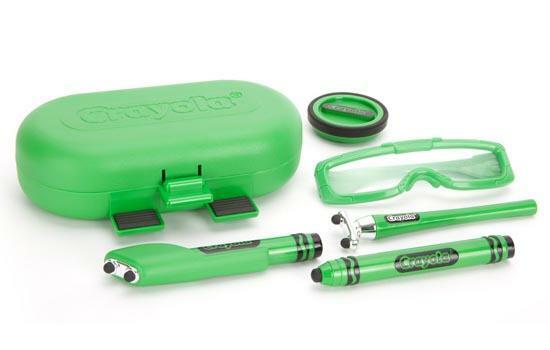 Crayola DigiTools Deluxe pack for iPad is priced at $39.99 USD. If you’re interested, jump to Griffin Technology online store for more details or check out the following demo video first.